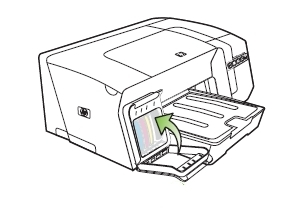 You can check the estimated ink levels from the printer software, control-panel, or the embedded Web server. The control-panel lights indicate status and are useful for diagnosing printing problems. 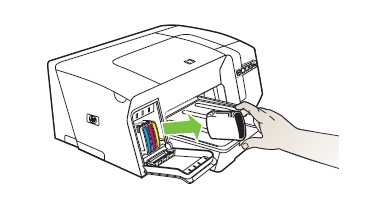 The power light is on (NOT blinking), and one or more of the ink cartridge lights are on (NOT blinking): one or more of the ink cartridges are low on ink and will need to be replaced soon. 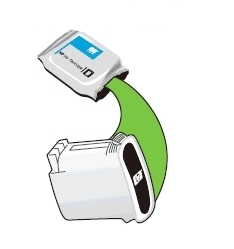 Get new ink cartridges and replace the existing cartridges when they become empty. 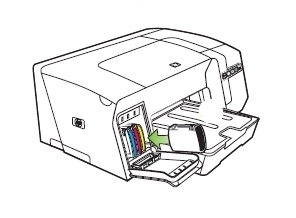 The power light blinks, and one or more of the ink cartridge lights are on (NOT blinking): An ink cartridge is out of ink and must be replaced before you can continue printing. 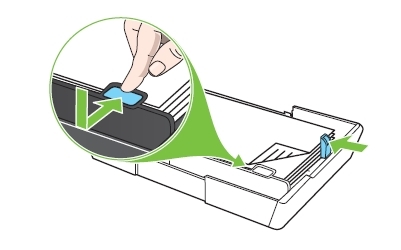 Replace the ink cartridge indicated. 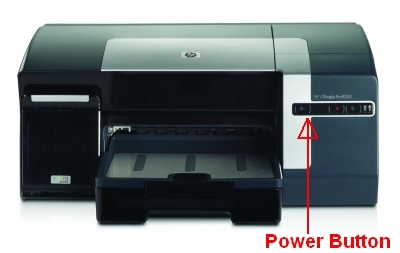 Which ink cartridges do I need for my HP Officejet Pro K550 Series Printer? 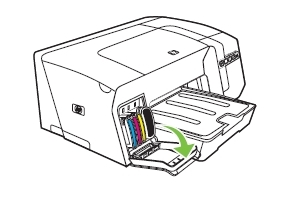 For your US, European and UK HP Officejet Pro K550 Series Printer you need HP 88 Black (or HP 88XL Black)and and 3 color cartridges: HP 88 Cyan, HP 88 Magenta and HP 88 Yellow (or the XL-versions). 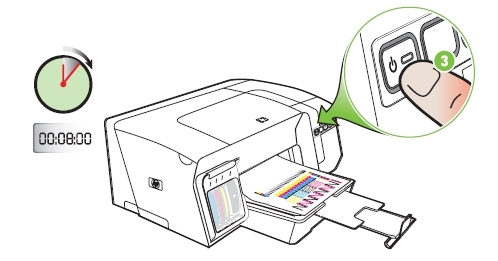 Note: Your HP OfficeJet Pro K550 printer may not look exactly like the picture below, but the cartridge numbers and cartridge system are the same. – Control panel: Press and hold the power button, press the Resume button two times, and release the Power button. The printer prints alignment and calibration pages. – Toolbox (Windows): Click the Printer Services tab, and then click Align Printheads and follow the onscreen instructions. The printer prints the alignment page. – Embedded Web server: Click the Settings tab, click Printer Services in the left pane, select Align Printheads from the drop-down list in the Print Quality section, and then click Apply.